IEC 61121:2012 is applicable to household electric tumble dryers of the automatic and non-automatic type, with or without a cold water supply and incorporating a heating device. This excludes tumble dryers which use gas or other fuels as a heating source. 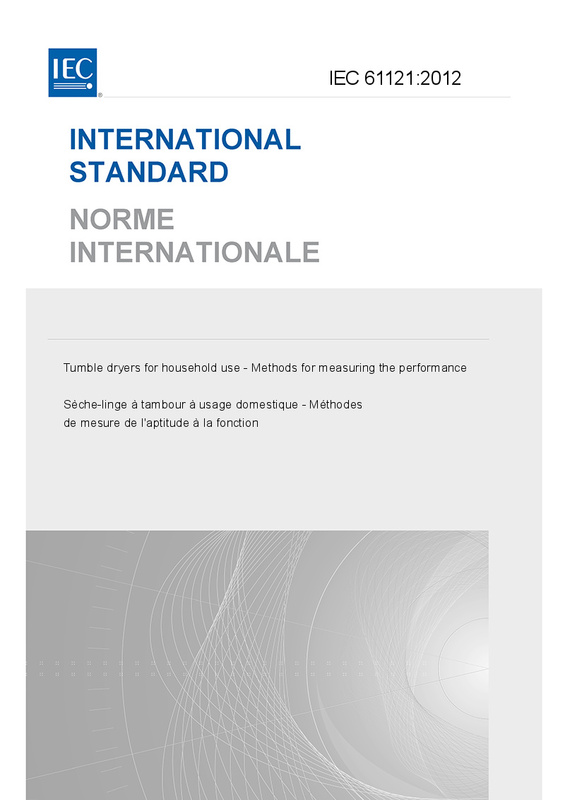 The object is to state and define the principal performance characteristics of household electric tumble dryers of interest to users and to describe standard methods for measuring these characteristics. This edition includes significant technical changes with respect to the previous edition and content has been reorganised into a more logical and simple structure.